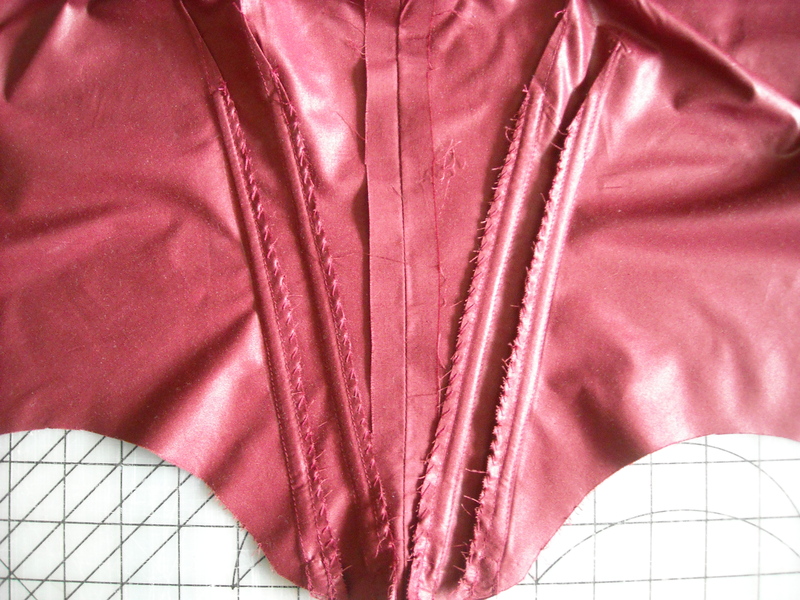 Here’s a close up shot of the bodice lining for the dress I’ve been working on of late. It’s the Laughing Moon Round Gown pattern, and I’m making view B (the fan-front, although sans the gathering in the back of the bodice) out of a really neat green wool plaid fabric I got at the Pendleton outlet in the remnant section. The lining here is a red polished cotton (also from the remnant pile, although different store) with boning channels sewn into the excess of the dart and bones. For good measure, I also overcasted the raw edges after sewing the boning channels in the darts as the fabric was fraying.